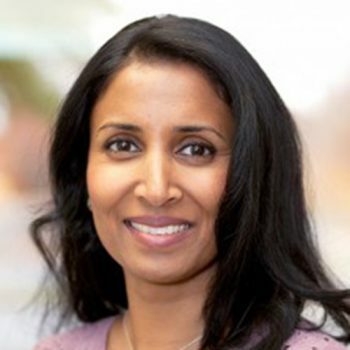 Dr. Lakshmi Reddy is a native of Atlanta and grew up in Fayetteville. She attended Emory University and received a Bachelor of Science in biology. She then moved to Nashville, Tennessee and completed her medical degree at Meharry Medical College. She went on to complete her pediatric internship and residency at St. Louis Children’s Hospital at Washington University in St. Louis, Missouri. She remained on staff for 3 years as a hospitalist in the department of pediatrics. She enjoyed her 7 years in St. Louis where she met her husband, Paul and had their first child but was happy to move back South to be closer to family. She completed her allergy and immunology fellowship at the Medical College of Georgia in Augusta, Georgia in 2010. She enjoyed her 3 years in Augusta and welcomed the birth of her second child. In August 2011, she relocated with her family to Johns Creek and founded Allergy and Asthma Institute. Dr. Reddy is experienced in all aspects of adult and pediatric allergy, immunology, and asthma diagnosis and management. Outside of work, Dr. Reddy enjoys spending time with her husband, Paul, and their two young children. Dr. Reddy is a Diplomat of the American Board of Allergy and Immunology a conjoint Board of the American Board of Internal Medicine and the American Board of Pediatrics. American Academy of Allergy, Asthma & Immunology (AAAAI). She is a board-certified adult and pediatric allergy, immunology, and asthma specialist.